The life of Alexander Hamilton is certainly one of great complexity and controversy and, as a result, has been of great interest to the general public for centuries. 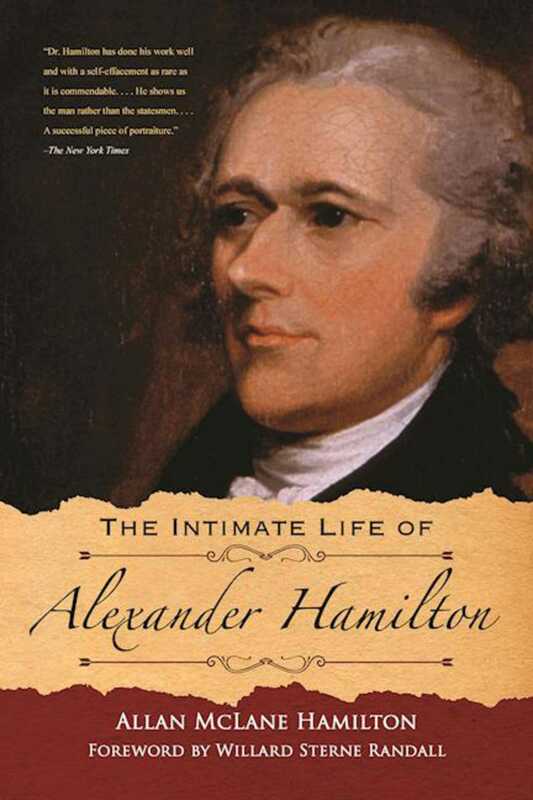 In the past two hundred years, there have been many accounts of Hamilton’s lifemostly commenting on his political personality rather than his character, but none have touched upon the private life of the man quite like The Intimate Life of Alexander Hamilton. Drawn chiefly from collected original family letters and documents, some never published before this book’s initial publication in 1910, Hamilton’s grandson Allan McLane Hamilton presents a portrait of one of America’s chief founding fathers unlike any other, recounting the life of his grandfather with an unmatchable insider’s eye. The author intimately discusses his grandfather’s private affairs in great detail, dispelling many rumors about Hamilton’s personal life. The book presents an astounding portrait of the man and his character, revealing a softness and charisma unknown to the public at the time of its publication. From primary sources so close to Hamilton they could very well be called heirlooms, Hamilton’s private life and personality are described with a closeness only a member of his family could possibly provide. Return to this forgotten classic, and see what one of America’s most controversial historical figures was like behind closed doors in The Intimate Life of Alexander Hamilton.